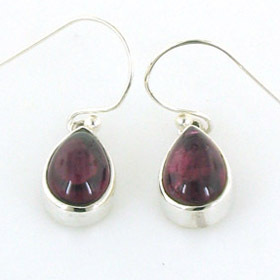 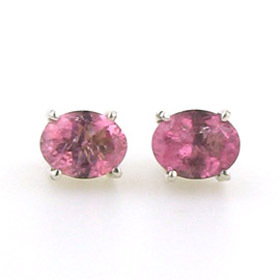 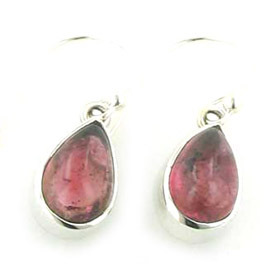 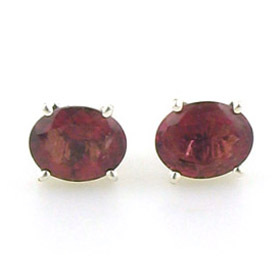 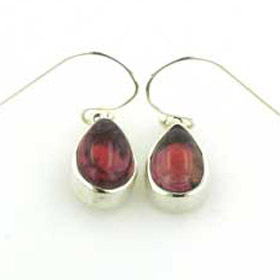 This is one of a small collection of hand-picked tourmaline gemstones elegantly and plainly set in sterling silver. 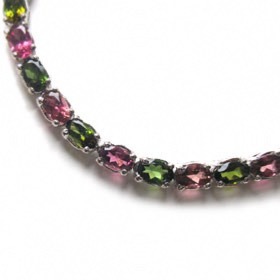 This tourmaline pendant features a smooth polished gemstone. 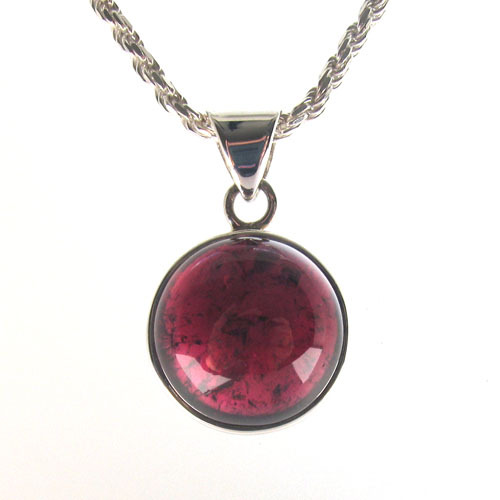 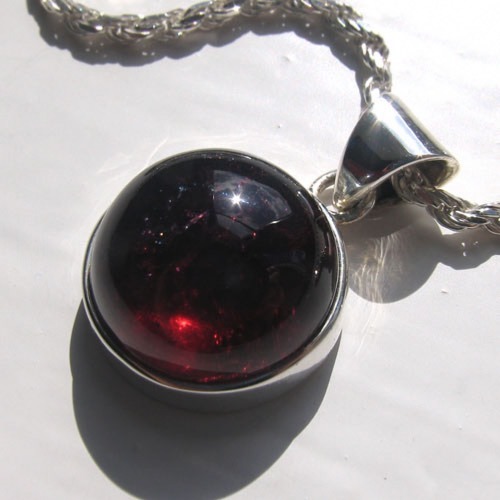 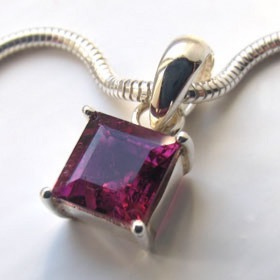 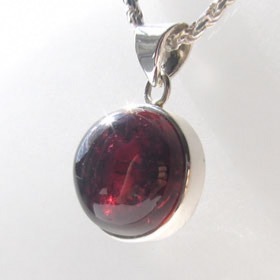 A wonderful deep cerise colour, this domed round tourmaline gemstone makes a fabulous pendant. 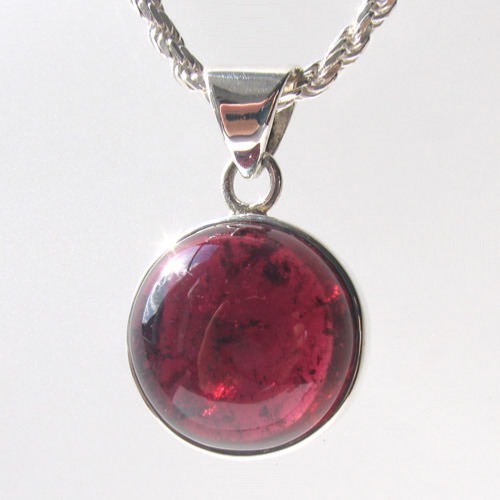 Inside the gemstone, you can see some inclusions and with the light through the stone you can see different shades of vivid pink. 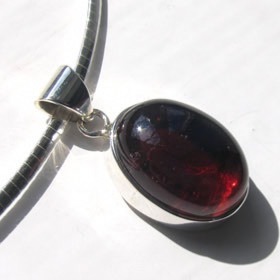 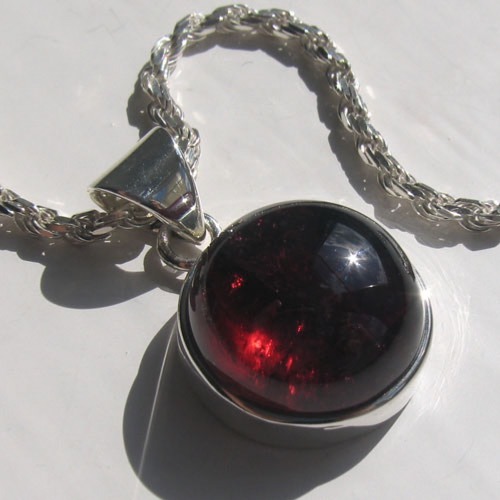 The tourmaline is neatly set in a solid silver collar which frames the back of the stone leaving an opening to let light into the stone. 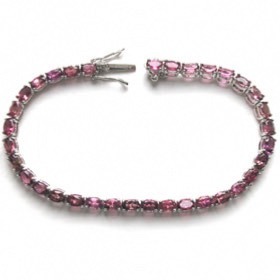 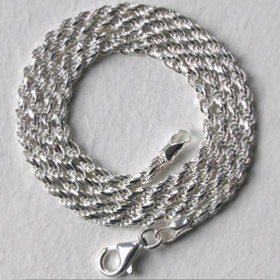 See our tourmaline bracelets and tourmaline earrings for other pieces in our tourmaline jewellery collection. 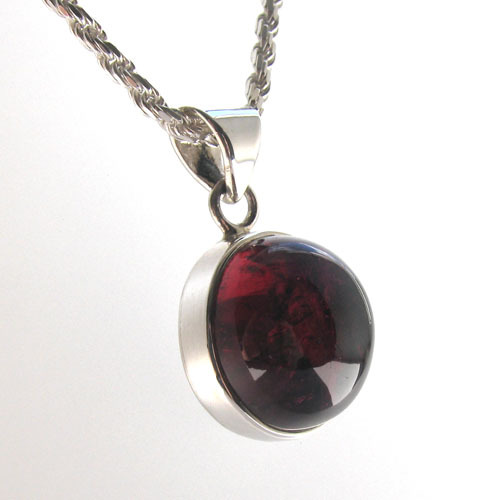 Treat your loved one to a tourmaline pendant and enjoy free UK delivery.